Oxyslim is a weight management supplement produced in the USA by NexGen BioLabs. According to the official sales page the formulation contains a combination of ingredients that can provide fat burning and appetite suppression and have been “fortified” with antioxidants. Fat burners assist weight loss by helping people to burn off existing body fat. Appetite suppressants help people to eat less food, thereby reducing their calories intake. When combined fat burners and appetite suppressants can be a winning combination, but many such formulation fail to live up the promises made for them. Antioxidants can be beneficial for the health and provide protection from disease, so although not strictly necessary for weight loss they are still a good inclusion. 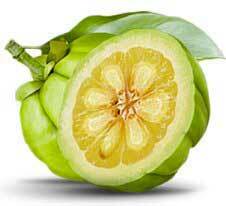 Garcinia Cambogia A super fruit ingredient that is high in antioxidants and has a good reputation for providing excellent weight loss results. The active ingredient is a compound called hydroxycitric acid (HCA). Sourced from the rind of the fruit, HCA can boost serotine levels, which, in turn, suppress the appetite. It also functions as a fat blocker by inhibiting the abilities of an enzyme called citrate lyase that normally converts excess sugars and carbs into fresh fat cells. The benefits don’t end there, garcinia cambogia is also a fat burner, but 500 mg, taken three times each day, is generally considered to be an effective dose. The inclusion rate here is unknown. Green Tea Extract One of the most popular weight loss providing ingredients in the world, green tea contains potent phenols and epigallocatechin gallate (ECGC) that have been proven effective for boosting the metabolism and providing thermogenic fat burning. The antioxidants in green tea can also help protect against many diseases, including cancer. Some studies also indicate they can lower cholesterol levels. Green Coffee Bean Extract Green coffee beans differ from normal coffee beans in that they have not been roasted. In their raw (green) state coffee beans contain a compound called chlorogenic acid, but when they are exposed to heat the chromogenic acid is lost, as are the benefits it can provide. A number of studies show the chromogenic acid in green coffee beans can boost the metabolism and provide thermogenic fat burning. 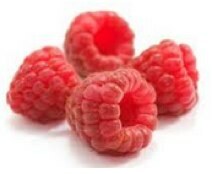 Raspberry Ketones Another super fruit ingredient that is bursting with health-enhancing antioxidants and has a strong reputation as a weight loss provider. Raspberry ketones work primarily as a fat burner and can produce such dramatic results the America TV personality and dieting experts, Dr Oz, likened the ingredient to a “miracle” in a bottle. Acai Berry Extract Another super fruit ingredient that is high in antioxidants and carries the Dr Oz seal of approval. Acai functions both as a fat burner and as an appetite suppressant. African Mango Extract Also known as Irvingia Gabonensis, African mango is a high fibre ingredient that can promote feeling of satiety and dull the appetite. In some studies, the use of African mango has provided weight losses of as much as 28 lbs. in 10 weeks. Lychee Fruit Extract Many claims are made for lycee, but few of them can be backed up with cold, hard evidence; so weight loss is probably unlikely. 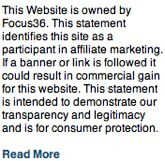 The NexGen website fails to provide any information about how the capsules should be taken or what the required dosage is. Reported side effects include nausea, bad stomach, increased appetite, bloating, headaches, sore throat, increased need to urinate. 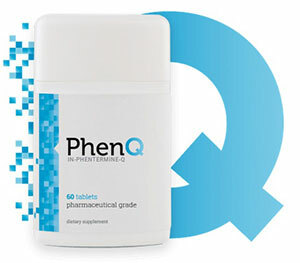 All potential users are, therefore, advised to seek medical advice before commencing supplementation. Although it used to be possible to purchase Oxyslim from Amazon.com, that is no longer the case, so the manufacturer’s website appears to be the only source of supply. 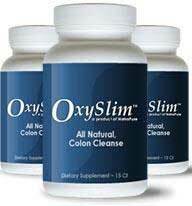 Each bottle of Oxyslim contains 60 capsules and has a price tag of USD$ 34.99 plus shipping. The Amazon sales page contained many positive reviews, but several customers complained of side effects and one customer argued that the many positive reviews were bogus. The Amazon sales page was taken down, in February or March 2015, and all the comments removed, but a cached copy of the page (Feb 25, 2015) contains some interesting comments.